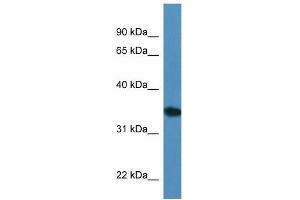 Characteristics This is a rabbit polyclonal antibody against Upp2. It was validated on Western Blot. Background Upp2 catalyzes the reversible phosphorylytic cleavage of uridine and deoxyuridine to uracil and ribose- or deoxyribose-1-phosphate. The produced molecules are then utilized as carbon and energy sources or in the rescue of pyrimidine bases for nucleotide synthesis.